Aboriginal and Torres Strait Islander children are invisible yet again in a federal budget that includes no significant investments to address the long-standing issues faced by Aboriginal and Torres Strait Islander children. The Federal Government flagged spending on Aboriginal and Torres Strait Islander programs is not only completely lacklustre, it ignores the persistent campaigning from an undervalued community-controlled sector working tirelessly for its communities. It’s incredibly difficult to see Aboriginal and Torres Strait Islander children mentioned at all in this budget. Consecutive Family Matters reports have called for a redistribution in funding focus of child protection systems, which see only 17 per cent of funding go towards early intervention and prevention services – the services that address issues early and help keep children safe with their families. Supporting our families in not only the responsibility of the states – if we are to end over-representation, the Federal Government must do more. This budget has no funding secured for these vital services.  Family Matters showcases exactly what’s required to slow down and stop the crisis-level of Aboriginal children being removed. The national peak body for Aboriginal and Torres Strait Islander children, SNAICC has identified some key federal election priorities that showcase exactly what is required to ensure equality for all Australian children. The 2019 Federal Election Priorities flyer is available via the SNAICC website.